In school, I was not the most academic of students, so therefore I knew I’d struggle to get my dream course of Physical Education in University of Limerick. Instead I graduated from IT Sligo with an honours Degree in Recreation and Leisure. I eagerly spent hours every week applying to the University of Limerick and other universities trying to secure a place on a PE teacher course in Ireland. To my dismay, University of Limerick replied and informed me that I would have to start again and complete a four year degree. As this was not financially viable and I had completed my degree in Sligo, instead I chose to work in a DIY shop and take one day off a week to get voluntary experience in a local secondary school to build experience. I researched what other options were open to me and I decided to apply for a Post Graduate Certificate in Education (PGCE) in Physical Education in England. This one year intense course would enable me to qualify as a teacher in England. When I was not called for interview the first time I applied I enquired as to why? They explained that while I had Irish teaching experience I did not have any UK teaching experience. So after a deep conversation with the security guard in the DIY store I decided to not have regrets. I left my full time job in the height of a recession (2012) sold my new car and moved to the UK in search of teaching experience. I immediately got some work as a teaching assistant through a supply agency in Manchester. 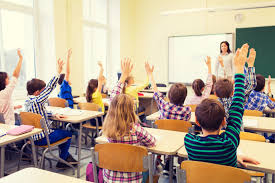 A teaching assistant in England is a person who helps out the teacher during the day in a variety of tasks for little to no money. Juggling bus fares, rent and basic day to day costs I lived on rice for most of that year, questioning myself why did I come over here when I had free rent living at home, a lovely car and only 20 miniutes from my girlfriend. With my new experience I applied again for the PGCE in P.E. and that November I was called for the interview. When I arrived I discovered there were 550 candidates for 19 places on the course and there and then I decided I had all that was required and it was up to me to sell myself. On arrival you are given a written task to judge your literacy skills. You read a three/four page text and are asked to summarise it into one page following which you do a one on one interview. To my delighted I was one of 40 to be selected for the next round where I had to plan a lesson in an activity of their choice. I was selected and received a conditional offer that day. Fast forward a year of blood, sweat, tears and living with next to nothing on a strenuous course I graduated with a first class PGCE in July 2014. During the course I applied for jobs which are few and far to come by in relation to PE. I was one out of 10 that got a job, mine being full time permanent in an affluent area in South Birmingham. If you really want something, work for it and you will get it. Yes the teaching is observed a lot more than back home and there is a lot more paper work. However quality of life is better and the experience you will gather is second to none. Progressing up the pay scale is more accessible in England and you can attain more responsibilities on the side which in turn increases your salary. At this moment and time it looks like I will be in England for the next few years or less if the public sector changes for the better in terms of teacher employment.